Investigations for Low Back Pain – When to Use Them? Home » Investigations for Low Back Pain – When to Use Them? When clinicians are examining low back pain there are a whole spectrum of conditions which could cause similar types of symptoms. This is not unique to low back pain and it is part of the so-called “differential diagnosis” which all clinicians must utilise when investigating symptoms. The challenge is to identify back pain causes as well as symptom sources. As most of us have a natural desire for certainty it is understandable to want to see test/investigations that give us an objective measure to explain our symptoms. Clinical experience and decades of research indicate that effective treatment of acute back problems is the best way to prevent chronic low back pain. 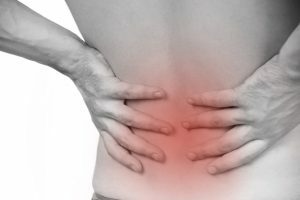 Continuous or constant low back pain can be associated with inflammation but when it persists for months it becomes hardwired into the central nervous system – almost a learned response. It is very important to weigh up all of these components prior to making a decision for further investigation because the fundamental job of using extra tools should be to direct clinical management. If extra investigations are unlikely to change the clinical management then they are not particularly helpful and often delay the rehabilitation process. With this in mind, clinicians are mindful as to when to escalate investigations and when to rely on their clinical examination and judgement in order to direct the best treatment option. There are also other factors to consider when ordering investigations and one of the prime considerations is patients expectations. If the uncertainty of a non-specific diagnosis is causing a lot of anxiety or if patients are concerned about other potentially serious pathology ( typically if they’ve seen family members / friends suffer from sinister conditions) then investigations for the purposes of exclusion of sinister pathology even though it’s not suspected clinically are certainly worthwhile from the patient’s perspective. Sometimes the reinforcement of an objective measure indicating nothing seriously wrong ie bone tumours, fractures can be a major relief to concerned individual’s which then allows them to progress with rehabilitation in the normal way unhindered by lingering doubts. There’s an old saying in medicine that there’s no such thing as a “negative investigation” and that applies in this situation. Lower back pain is one of those conditions where there isn’t a good correlation between the level of symptoms that people experience and the appearance of radiological findings. Scientific studies indicate that 50% of the population over the age of 40 will have radiological appearances of abnormalities on a lumbar spine MRI scan and yet be asymptomatic. For many years it was routine to request X-rays for investigating what was sometimes referred to as “simple low back pain”. After decades of research Internationally, the best practice guidelines for management of low back pain now conclude that x-ray should not be requested for routine examination of simple low back pain partly because it doesn’t yield helpful information to direct treatment and partly because of the negative effects of being exposed to radiation unnecessarily. X-rays do have a role to play if there has been a traumatic incident involving the spine such as a fall, direct impact or a sudden onset of symptoms which may indicate that there could be bony damage. In these cases, X-rays can be helpful. Degenerative change in joints is also visible on X-ray and although disc bulges and protrusions can’t be seen it is possible to see if there is the reduction in the thickness of the disc although in practice this doesn’t tell us if it’s actually bulging or it’s just become compressed/ dehydrated. MRI – has become the gold standard investigation because of the detail it shows not just of the bones but all of the other so-called “soft tissue” elements which involve the disc, nerve roots ligaments and muscles. As already mentioned there is a high incidence of apparent abnormalities on MRI in asymptomatic individuals so it is therefore of great importance that the clinicians correlate the symptom behaviour, physical examination signs and the MRI reports in order to determine the next course of action. That next course of action may be a surgical referral if there is concern that the severity of symptoms may require invasive management. However, it is a small proportion of the total low back pain population that require surgery and the majority of these cases are easy to identify. Of course, there are borderline cases and the decision to refer to surgery is usually on the basis of non- responsiveness to physiotherapy or combinations of medication. Bone scan will be a much less frequent type of investigation and is generally used to explore non-specific types of back pain in which there may be a suspicion of some type of disease process or in a sporting population to investigate a potential spinal stress fracture. Bone scan shows up so-called hot spots or areas of increased cellular activity and depending on where this is located can lead to other types of investigations or specialty involvement. Hopefully, you can see from the information above that there are a number of different factors which should be considered when ordering the investigation. Ideally, the clinician should talk through the selection process and likely outcome and in the vast majority of cases the clinician should have a reasonably confident expectation of what the investigations will show. In other words is not a complete mystery looking for a needle in a haystack. Of course the critical issue here is that a further detailed history and examination has been conducted in order to gather all of the relevant information and make an informed judgement. All too often these stages are skipped, inaccurate conclusions are drawn and patients are sent on a investigative merry-go-round rather than commencing effective treatment to resolve the issue. Physiotherapy is an essential component of effective management in a large proportion of low back pain patients.